Chanteur Country US né Raul Martinez Malo le 7 Août 1965 à Miami (Floride). Originally making his mark in the county music world and then slipping into the Latin and jazz arenas via rock & roll, Raul Malo has proven to be an ever-expanding musical talent. Malo, born in Miami of Cuban parents, started playing bass guitar in high school and soon found his way into several small bands. In 1987, he made his first recording with the Basics, and one song, "Paperheart," appeared on the promotional album Unsigned. While the album wasn't a success, the experience whet Malo's appetite for more. Later in the '80s, Malo and a high school friend, Robert Reynolds (bass), joined together to form their own country band, based on their mutual love for Hank Williams, Johnny Cash, and Patsy Cline. Paul Deakin, with experience in several progressive rock bands, became the drummer, and the group chose the name the Mavericks. This band went on to become one of the outstanding country bands of the '90s. Under Malo's leadership, the Mavericks released their debut self-titled album in the fall of 1990. The album managed to grab the attention of many big labels, and MCA Records signed the band on in May 1991, when they played their first gig in Nashville. David Lee Holt, who previously played with Carlene Carter, Joe Ely, and Rosie Flores, became the lead guitarist for the band, with Malo concentrating on the songwriting and Vocalss. MCA released From Hell to Paradise in 1992 and released five more albums for the band during the '90s. Hell to Paradise was critically acclaimed, but not financially a success. However, What a Crying Shame brought forth financial fortunes when it was released in 1994, with its title track reaching the Top 40; the album went platinum by spring 1995. Holt was replaced with Nick Kane as lead guitarist for the next releases. Many of the bands singles reached the Top 40, with "O What a Thrill" making number 18 in the summer of 1994 and "There Goes My Heart" reaching number 20. Music for All Occasions, released in 1995, made gold. 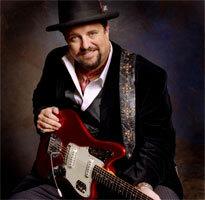 the Mavericks eventually won a Grammy and the Country Music Association named it the Top Vocals Group twice. One of the highlights of the band's career was playing at the Royal Albert Hall in London. As Malo began to integrate Latin rhythms into his songwriting during the latter part of the '90s, the albums picked up more Havana influence, leaving the country rhythms in the shadows. The band became an eclectic mix of rockabilly, honky tonk, tejano, native Cuban, and country. The MCA label continued to release the Mavericks' albums and singles throughout the '90s, with the final compilation being 20th Century Masters — The Millennium Collection: The Best of the Mavericks in 2001. Malo then switched to the Universal label for the band's release of O What a Thrill: An Introduction to the Mavericks. Although the Mavericks quit playing gigs together in early 2001, they haven't really broken up as a band and Malo still has tight connections with the members. During the later years of the '90s, Malo began doing parallel solo work, sometimes accompanied by the Dennis Burnside Orchestra. During October 1999, he completed his first solo tour in the U.K., performing many of his new songs. By 2000, he had become a producer with Ethan Allen and K.T. Oslin, and joined Los Super Seven as a lead Vocalsist and songwriter, in addition to working with the Latin singer Rick Trevino in his studios. Malo's first solo recording, "Bailare (El Merecumbe)," was self-penned in Spanish, and he also did a solo recording of "Downbound Train" by Bruce Springsteen. When the Country Music Association needed a voice that could handle singing all the different hits of those being inducted into the Country Music Hall of Fame in 2001, they called on Malo because of his ability to handle diverse rhythms. Malo's first album as a solo artist, Today, reflects his Cuban background, but doesn't entirely leave out the deep-twang guitar of country music. His exuberance flows as he mingles the pop sounds of the '60s with salsa and country. Released by Omtown/Higher Octave Music in October 2001, the album also features Shelby Lynne on Vocalss and a backup band of 11 that produces the big band sounds of which Malo is becoming fond. Malo sings Today in both Spanish and English, reflecting calypso, carnival, jazz, salsa, and country influences playing out the theme of universal love. Malo also covered "Black Is Black," a Latin rock hit, on Los Straitjackets' 2001 album, and sang on Raffi's compilation of country songs for children. 2004 saw the release of The Nashville Acoustic Sessions, a pared-down collaboration with Nashville session staples Pat Flynn, Rob Ickes, and Dave Pomeroy. Malo returned to the studio for You're Only Lonely and After Hours in 2006 and 2007, respectively. Lucky One followed in 2009. In late 2009, Malo signed to Concord's Fantasy imprint and began recording a slew of new tracks at his home studio in Nashville. He took them to Sam "Lightning" Seifert at Bismeaux Studio in Austin and enlisted the help of the legendary Vox Continental organist Augie Meyers; guitarist Shawn Sahm (son of the late Doug Sahm of the Sir Douglas Quintet); accordionist Michael Guerra (known for his work with the Tex Mex Experience); and Austin's lauded Vocals group the Trishas (Savannah Welch, Kelley Mickwee, Liz Foster, and Jamie Wilson), who provided background Vocalss. The end result was Malo's debut for the label, Sinners & Saints, released in October of 2010. In 2012, he delivered Around the World, a set of classic love songs backed by Britain's 30-piece Northern Sinfonia orchestra, including versions of "Let It Be Me," "Make the World Go Away," "Dance the Night Away," and "Around the World."